Signal is an intense crime thriller with a storyline that keeps your heart pounding to the very end. It’s filled with heavy emotions all the way through, and is the perfect drama for inducing nail-biting adrenaline. What makes Signal even more intense is the time sensitivity of its cases. At first, our detectives solve cold cases with statutes of limitations that are about to expire. But as the drama moves along, the cases have to be solved before more bad things happen. As such, it constantly makes my heart race when time is almost up and our detectives have not found the answer they’re searching for. Signal weaves together an intricate story with many plot twists and impactful moments. Signal is like a time travel drama without the actual time travel. But rather, the past and the present is connected through a walkie-talkie, through which our main characters communicate with each other. Our detective from 1986 assists our profiler living in 2015 to solve cold cases in the future. And the profiler in turn helps the detective get ahead of those same cases in the past as they take place. Of course, as with all time travel stories, Signal alludes to the time travel paradox of how the past affects the present, and the butterfly effect of consequences that our characters must live with once the past is changed. I commend the writers of Signal for weaving together such an intricate story with so many plot twists and impactful moments. Every episode ends with a cliffhanger that leaves me screaming for the next sequence of events. The drama gets right to the thrill from the start. 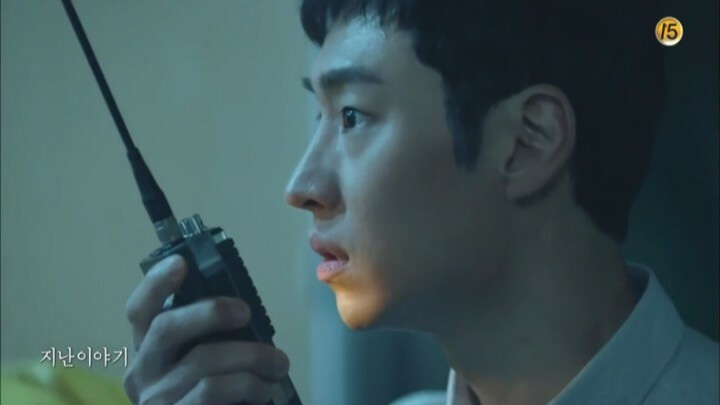 The first character we become acquainted with is our male lead Park Hae Young (Lee Je Hoon). He strikes me as a competent, intelligent profiler with a little sass, and a lot of sarcasm. 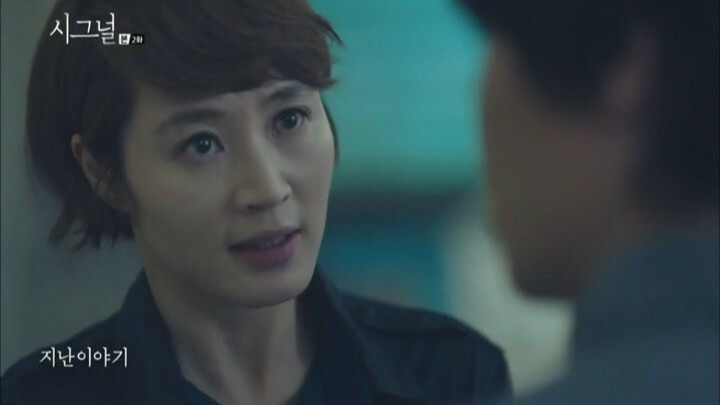 Then there is his team lead Cha Soo Hyun (Kim Hye Soo), a female detective who seems abrasive and cutthroat. But she gives me the impression of only being hard on the surface and a big softie on the inside. The first episode starts out a bit confusing, and I have a hard time following along for the first half hour, mostly because of how the drama veers between the past and the present. But by the last quarter of the first episode, I’m on the edge of my seat cheering our main characters on. As far as introductions go, I’d say that Signal did well in hooking my interest. Right off the bat, I can tell that Soo Hyun and Hae Young have great synergy. The signs are there in how much they exchange thinly veiled insults. 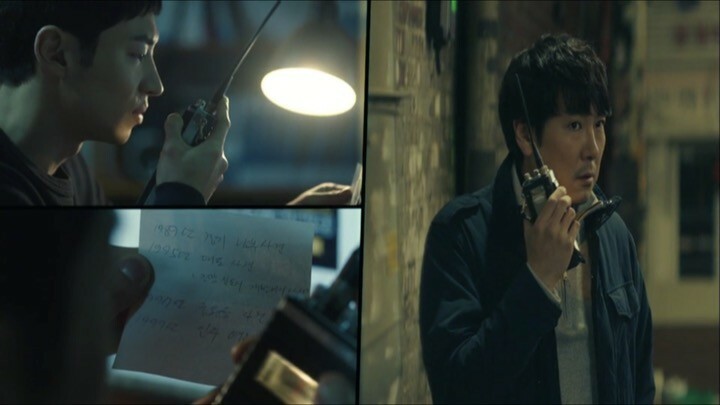 Towards the end of the first episode, another key character is introduced — detective Lee Jae Han (Jo Jin Woong) from the past, who communicates with Hae Young through a broken walkie talkie. We don’t know much about him, except for the fact that he was Cha Soo Hyun’s senior back in the 80s. He helps Hae Young solve the first cold case, which was especially exciting because it was directly related to Hae Young’s childhood and had an unforgiving time limit on it. Shortly after, the cold case team consisted of our lead characters is set up. 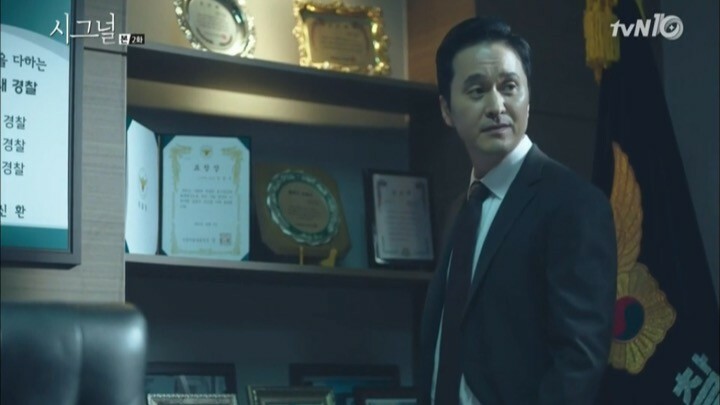 It looks like a definite ploy by Police Director Lee Beom Joo (Jang Hyun Sung) and his lackey, Police Chief Ahn Chi Soo, to take them out of the picture all at once for stirring up trouble. We get a few laughs as our cold case investigation team members get to know each other. But Soo Hyun immediately takes charge of the cold case investigation team. Although she’s brusque and commanding with Hae Young, they make a good team and begin to solve puzzles faster than ever together. 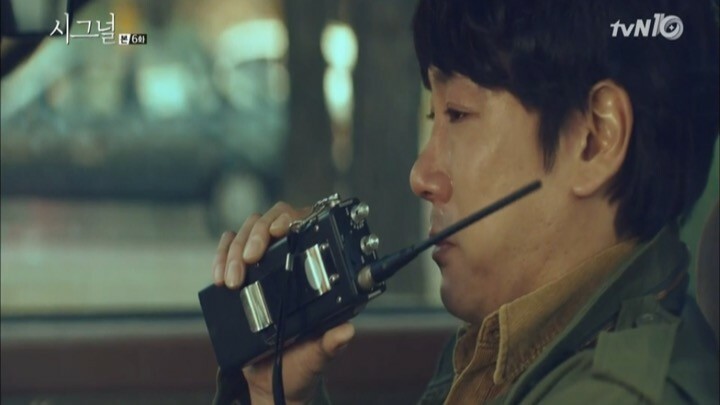 Meanwhile, Hae Young finally figures out how and when the radio transmissions come. He also realizes that he can help change the past through them, even though Jae Han is still clueless about the truth behind the transmissions at the moment. And so, as new cold cases from the past surface in the present, Hae Young gathers intel from the present and uses them to direct Jae Han to get ahead of the murders in the past. We’re also given a closer look into the past at times to piece together the backstories behind Jae Han and Soo Hyun’s history. These glances into the past also help the viewers understand the details surrounding the cold cases better. In this section of Signal, we see a deeper bond forming amongst our three main characters. 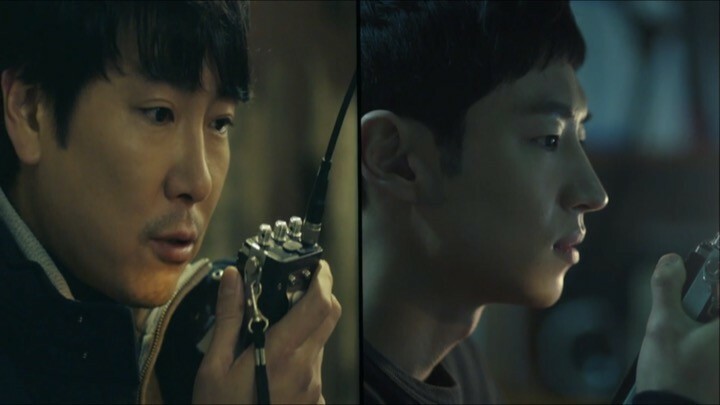 Jae Han comes to believe their different times, so communication from both sides becomes even more frequent as our heroes obtain a new level of understanding about each other. Likewise, we get an in-depth look at the past and a few laughs as we get more acquainted with rookie Soo Hyun and Jae Han’s relationship in the 80s. Meanwhile, in the present, Hae Young also develops some measure of camaraderie and trust in Soo Hyun. At the same time, we learn in a painful way that changing the past may have harsh consequences in the future. Hae Young naturally becomes wary about trying to change the past, but Jae Han doesn’t have such qualms and keeps pushing for information. As a result, something shockingly terrible happens in the present and it’s hard to keep calm about the outcome. The stakes are raised higher than ever and it’s an emotional rollercoaster through and through for both our characters and viewers alike. On the other hand, Hae Young starts to dig a little deeper into the past out of curiosity, especially around Jae Han’s mysterious disappearance in 2000. This scares the dubious Police Director and he begins to watch the young profiler closely. 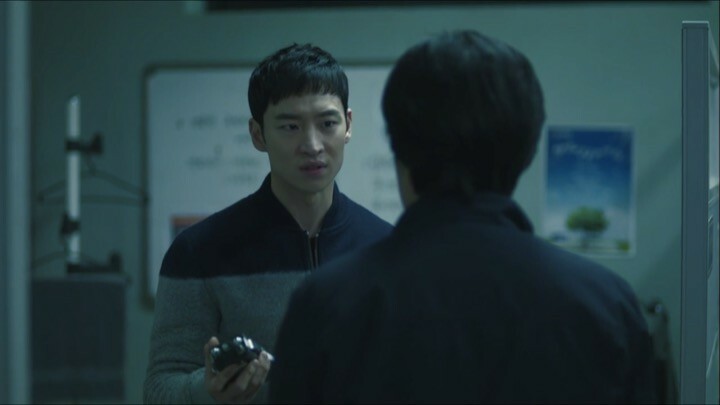 We even get a glimpse of the Police Director in the past and his immediate friction with Jae Han from the moment they meet. The drama hints at a conspiracy larger and deeper to come and I can’t wait to find out what it’s all about. 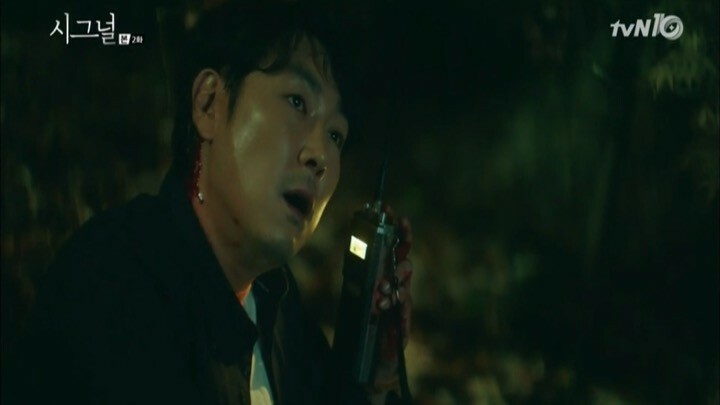 Signal begins to peel off some layers of mystery to point at the underlying plot regarding Jae Han’s disappearance, all the while maintaining a consistent theme of solving on-going cold cases. Some of the suspicions in my head get confirmed here, such as who the bad guys really are. At the same time, Hae Young’s bravery is made even more pronounced as he ignores all of the warnings and charges ahead with his investigation around Jae Han’s whereabouts. The cold case this time is not so easy to solve as there are no clues both in the past and the present. But Soo Hyun has a direct connection to it, and eventually helped Jae Han solve it in the past through courage. Here, Jae Han finds out from Hae Young just how good a cop Soo Hyun turns out to be in the future, and how it’s largely due to his influence. To my relief, changing the past brings about a good result in the future this time around. Signal begins to peel off layers of mystery while maintaining a consistent theme of solving cases. One other observation I’d like to make is that I love how the writers found a way to infuse humor in the most serious moments to lighten up the largely eerie and chilling mood. An example is how Hae Young managed to smoothly turn the conversation towards Soo Hyun’s single status right after they looked at what could have been Jae Han’s skeletal remains. This crucial section of Signal is filled with answers and saturated with emotions. We get to see the full impact of the butterfly effect theory at work here. This section highlights the central conflict of the story — a cold case that connects all the dots is revealed. Turns out, the common link is Hae Young’s older brother. We begin to see how the fates of our characters are intertwined in the past, and the extent to which the villains are willing to go to bury the truth. This case has been hinted at in small doses since the beginning of the drama, and is now finally coming to light with many intricate details and decisions that led to the present we see. Here, I find it hard to hold back my tears as Hae Young finds out that Jae Han had always been in his life, since he was a child. It’s a very touching moment when Hae Young realizes that he wasn’t alone all along, that he had someone watching over him and taking care of him from afar. There are a lot of moments of deep sighs and clenched fists for our characters here as they race against time to change the future through the past once more. The concept of certain unchangeable fate is explored here, as their efforts mostly result in the same sequence of events happening over and over again. I nearly gave up hope for our detectives, as it seemed that the dark side is winning no matter what. My fingers are crossed as I pray that the ultimate outcome is a good one for our detectives. Signal ties everything up with a neat little bow as we see some semblance of resolution and a new beginning for all the main characters. Hae Young finally gets the closure that he has wanted all along, so does Soo Hyun. As expected for a drama like Signal, the ending isn’t your usual happily ever after, but a deep breath of relief after an intense journey. The ending is a deep breath of relief after an intense journey. The drama shows brief hints of unfinished business and Jae Han keeps fighting to expose even deeper corruptions. As such, the ending isn’t really the end; it opens up a whole lot of other possibilities for the future, perhaps even a sequel. Generally speaking, I’m not a fan of open-ended endings, however Signal did such a tasteful presentation that I didn’t mind it so much. One good thing about Signal is how every case is complex and requires a high level of critical thought to be solved. Of course, there were points where this level of continued difficulty became tedious to watch as it took two or more episodes to solve every case, but it was fun for the most part. Also, I must commend the actors for doing such a great job portraying the characters that they played. 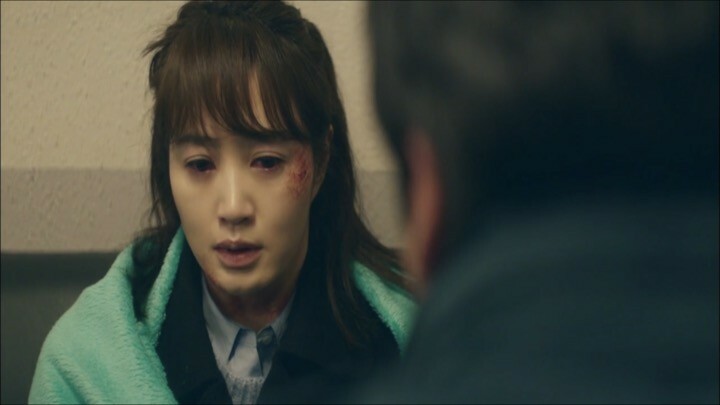 I especially liked Kim Hye Soo for her portrayal of Cha Soo Hyun; at times she’s a softie rookie cop who’s in love with her sunbae, and at others she’s a hard as nails team leader who will not hesitate to go into a fight. 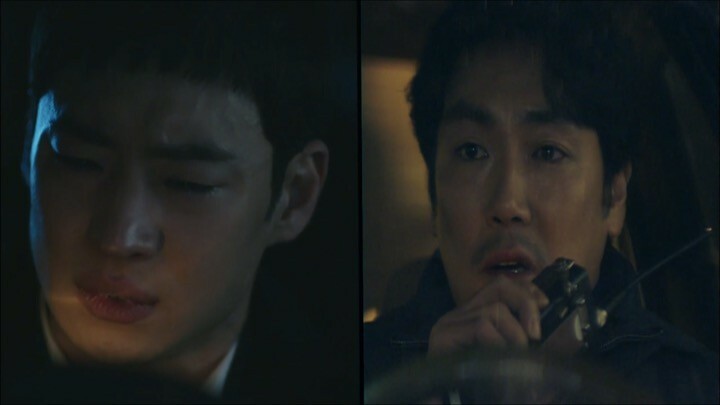 Although, at some points I felt that the calls were timed a little too conveniently when a new problem arises, the drama does a good job of using the past to fuel the present action. One theme that is particularly stressed throughout Signal is the concept of ripple effects. It explores the dangers of a slippery slope even through time. Finally, I would say that Signal is the most thrilling drama I have seen to date, and I loved every minute of it. It’s nothing short of amazing how many emotions this story evoked in me within sixteen episodes. Signal is so good it will make your heart literally beat fast from start to finish. Indeed an amazing series from start to finish! So suspenseful and it reminded me of all the great Korean crime solving movies (Memories or Murder and others).